We haven't seen 20lb bags since 2014. Enough of that stupid 18.6lb stuff! 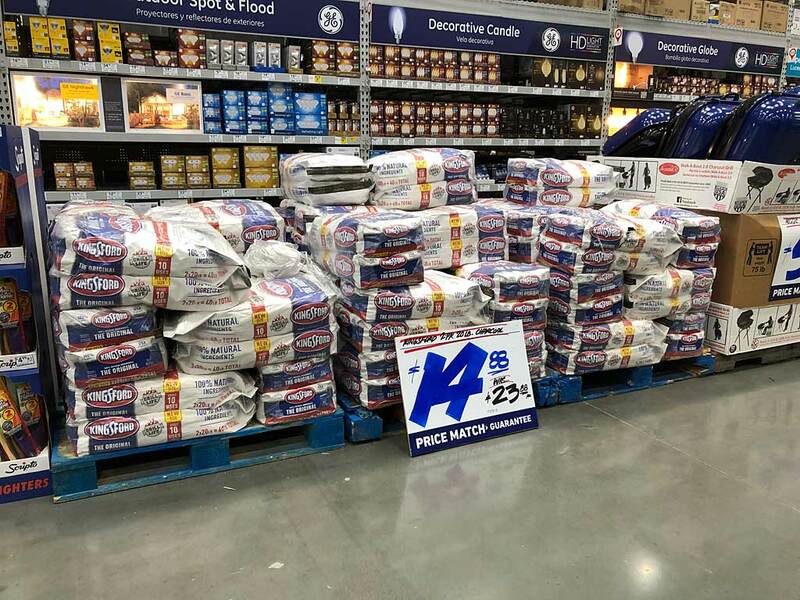 KBB 2x20 Twin-Pak Lowe's $14.88, Limit 5. Valid April 4 through April 8.
twin pack $8.88 2 summers ago? I would withhold judgment until Memorial Day, that's when the low prices really kick into gear. If it's not close to $9.88 then, we can all start complaining! I saw this same deal at Home Depot this morning. First time I have seen 20lb bags in a few years. Home depot had ember brand 2 20lb bags for $9.88, bought it to try. Because of the long lasting fire restrictions from the past two years I haven't bought any charcoal in three years and still have 28 bags of KBB and royal oak plus 4 big bags of lump. Looks like I won't be buying any this year also. I'm guessing it may be higher just because the base price seems to have gone up. They've also gone back the 20 lb bags. I'm going to guess that it's 10.99. I jumped on the bandwagon during the sale-maybe I was hasty as I recall it being lower around Memorial Day too. Also recall reading here that Royal Oak was better than Kingsford and I believe it did burn longer. Lowes also had some bags of Pro and Competition that I got for $4.99-guess its being discontinued?